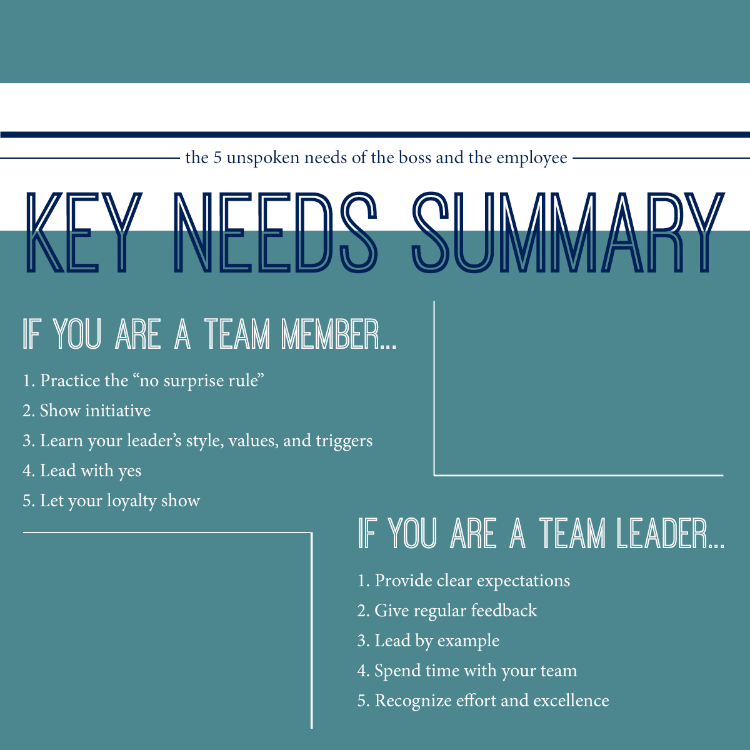 So if you are a team leader, here are the 5 things your team members need from you. Imagine stepping onto a soccer field and scoring a goal only to have the referee blow the whistle and say it didn't count because he actually meant for you to play football, even though he never told you this! Sounds bizarre, but one of the most common complaints we hear from team members in a variety of organizations is "I don't really know what's expected of me." While job descriptions serve a meaningful purpose in helping someone understand an overview of his or her position, leaders must be clear regarding what they want, what level of quality they expect, and when they want it by. Quality feedback is direct, specific, and non-punishing. It is connected to clear expectations – it is hard to give good feedback to someone who doesn't know what is expected of them. Some experts believe that 80% of performance problems can be resolved by a leader providing clear expectations and feedback to a team member. Giving quality feedback costs nothing other than a little time and courage! As a leader, it is your job to model the behaviors you want to see in others. If you want hard work, model it. If you want openness to feedback, practice it yourself. If you want collaboration, be collaborative. If you want timely delivery on projects, perform the same way yourself. If you want relationships, pursue them. You are setting the tone and creating the team DNA as much by what you do as by what you say. Set the example by modeling the performance, relational style, and work energy you want to see in others. One of the greatest resources for a team member is you, the team leader. Some team leaders keep their distance from team members, seldom spending regular time connecting. This social distance often results in diminishing trust, lower relational capital, and less opportunities to influence team members as well as fewer opportunities for them to give feedback to you, the leader. A number of years ago, researcher John Kotter did a study on how effective leaders spent their time. He discovered they spend upwards of 90% of their time in relational connection and communication with their staff, both formal and informal. Spend time with the members of your team! I remember an office worker who had trouble doing her work with quality. Her manager’s solution was to take important projects and give them to a more competent staff member. Over a period of a year or two, she was rewarded with less and less work, even though she was one of the highest paid! She had less and less responsibility and pressure. And the more competent worker had more and more. Who was rewarded? The incompetent worker! Praise: Let them and others know how well they are doing. This can be done directly to the person, in a team meeting so others can see and hear it, in a handwritten thank you note, in an email, or even in a newsletter. In one case, I wanted to praise the excellent service provided by three employees of an organization, so I wrote an email to the president praising them and copied them on it. He felt affirmed that his team did so well, and they felt great having the president hear about their hard work! Reward: Praise is nice, but I never met a person who did not appreciate a Starbucks gift card! Some practical and easy to deliver rewards include a bonus, free lunch for the team or privately with the team leader, a gift card, a weekend away certificate, time off, or even a team party. Be creative. It’s not only the dollar value of the reward, it is also the appreciation it communicates. Opportunity: Motivated team members often want new opportunities to learn, grow and advance. This is true for most people who desire to keep growing and advancing and is especially true for millennials. Examples of new opportunities may include new projects, new positions, workshops and seminars, and paying for further education. 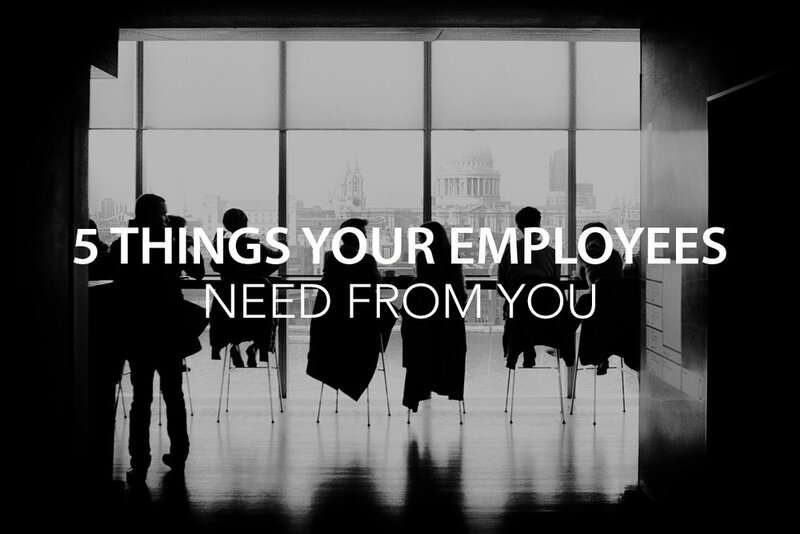 We hope paying closer attention to these 5 points will help you be a more effective leader, raise the performance level of your team, and encourage your employees.